The fact is our Happy New Year is not bound by time. It is an ever present victory given to us by the Lord of All. Life might throw you multiple curve balls, strike you out, or bench you for a season. And while it may be true that suffering is a guarantee for those who do follow Christ, the goal is for eventual good, such as producing godliness, fruit, Christlikeness in us. But here is the clincher. Though it is so, in this world we will have trouble (John 16:33) and surely we as a people are prone to find trouble…or trouble may find us (Job 5:7) there is this one small stone in our pocket that is guaranteed to strike down our Goliaths. Jesus (our stone) also promises us a way out or a way through…through Him. Christ is the Victory, Christ is the way out, the way through and our Happy New Year all in one. Christ is the sure stone that never misses the mark. We so often walk by sight and not by faith. Faith requires trust. Trust requires investment in the trusted. How can we trust God when we refuse to come to Him on His own terms? (Romans 10:17) If we worship a god of our own making, we may find happiness in the short term…but our happiness will be tragic from an eternal perspective. I fear for those who insist on their own way, preferring to dissect, dilute or deny the Word of God. They may have their own way…at a cost that is beyond all costs. The God of Abraham, Isaac and Jacob…who promised a Messiah and delivered Him in Jesus the One and Only Son of God, to the cross and raised Him on the third day…is not a compromising God. Our Happy New Year doesn’t start on January 1 or February 1 or any other particular day in time. Our Happy New Year as believers AND as unbelievers begins the minute we repent and submit. We repent of our sin…not excusing it, rationalizing, justifying and clinging to what God calls filthy rags. It happens when we say “…not my will but thine.” Sweeter words have never been spoken or echoed throughout all time and eternity! Can you say those words today, friend? You want wisdom? You want joy? You want truth? You want a truly Victorious New Year? It means turning from the wisdom of the world to the One who is Wisdom. It means stepping out of the sinking sand and onto the solid ground that is found only in Christ Jesus. You say you want a Happy New Year? If you are a believer, you have a chance every single morning…make that every single MOMENT…to turn to your Savior and allow Him to offer you His new mercies. The thing about new mercies is, like manna…they expire. You need to ask Him for the mercies of today, today. You can’t trust that yesterday’s manna is good for today. God wants to give you and me His mercy every day- because we need it every day. He wants to reveal Himself to us anew each day. If we are busy clinging to rotten, stale old manna from yesterday, we will miss the beautiful gifts and truths He wants to show us today. So what will it be, nasty maggots or new mercies? If you have not yet said to the One True Living God, to all whom will ultimately bow, the words “not my will but thine” , what are you waiting for? None of us is guaranteed our next breath. If you have suspected God is calling you, why have you not yet turned? I promise if you do, your life will never be the same. Our God is also a merciful and oh, so patient God. He gives new mercies, it’s true…but all Wisdom is in His name. Apart from the name of Jesus there is no wisdom. No truth. No freedom. Nothing. You want a Happy New Year right now? Bow your head and ask the only One who can make it happen to show you how. Our Happy New Year starts with Jesus. Repent and Submit to Him who is able to give you victory daily, over sin, life, death. Lord, I thank you that you are the Word who became flesh and who came to show the way in humility, grace and gentleness. I am humbled that you would die for me. I thank you that in you I find mercy, hope, wholeness, healing. You give faith and wisdom to those who call upon your name. You promise to never leave or forsake those who are your own. You reveal yourself to us as we trust in you. Thank you that you are not a changing God, but that you are the same yesterday, today and always. Thank you that your will be done on earth as it is in Heaven, by your grace for your glory. Help your people to live victorious lives by Your Spirit, not leaning on their own strength. Be merciful as they days grow darker, as we await your glorious return. Keep us faithful, in Jesus’ name. Amen. 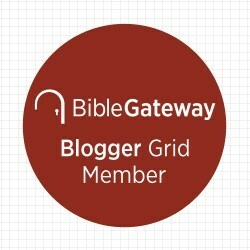 *I am excited to be part a new international group of Bible Loving Bloggers put together through Bible Gateway! I am grateful and honored to share God’s Word with you! If you liked this post check out this earlier post…10 Simple Things You Can Do To Have a Happy-ish New Year. Oh Dawn! Thankyou so much! I almost bit that saying going around about February! I wanted to erase January & start over! Thankyou Dawn! So much! My pleasure, Helen… His ways are not our ways and Phew…sometimes that seems hard, but mostly it is SO MUCH BETTER! Praying for His will in our lives and the Victory that comes with it! to bring Him glory, and Father, Holy Spirit, every day, every month is just glorious!!!!!!!!!!!!!!!!!!!!!!!!!!!!!! Great post, Dawn! So glad the Lord is lifting you on His wings. Sending your goodies out and I am hopeful the design for your mitts and Scripture tag will meet your needs in this new year of His new mercies. All for the good . . . Looking forward to sharing and seeing! Not in that order…lol…I will see first…but I am such a sharer though. lol. I actually might already want another pair…I have another friend I want to gift! I totally have to have a chuckle right now!….but first, great post…..wisdom and prayer my dear!….for I have been calling out and getting in returne. Wisdom and prayer!….a new month a new start for the new year?…I get a new second and a new everyday and collectively a new month,I have it all…in Christ …. anyway back to my chuckl…..for he has shown me part of your path and the reason I had a whole state praying for you!. Yes darling a whole state! Oh my goodness, Marianne…you have no idea the journey God has brought me on with even speaking and reading in public! You Tube and those who so helped me chat, ramble etc and positively supported me helped me also with my public readings of poetry and essays over the past year and a half…It has been quite a journey…but…as far as prayers? Wow…you have no idea some of the things that are coming against me and my loved ones now…I trust God…no nothing is without purpose…but it absolutely affects the time line…I would greatly appreciate those prayers and a prayer of a whole state? WOw. We are the smallest state and I am grateful for every prayer…knowing the battle in the unseen realm well…I feel there is part of my path I can’t see currently…but I know He will make it straight and clear…let’s just pray I am able to not bow to my fears, and instead say as He did, not my will but thine, Lord…Thanks for visiting…I appreciate your presence. BY the way…you are in AUstralia, right? Do you ever go to the water there? Dawn!…….all will be clear….his will…and all will be good..for some of the things your seeing and experience are not what you think they are…you will move in ways way beyond your will girl….lol….the prayers are from a big state in the Us….not telling but just know it’s the biggest Bible Belt! In your country …you are on a prayer list ..that’s way your seeing/ experiencing what you are …..do not fear!…..hers got you!…and yes I’m and Australian I grew up on an island called Phillips Island…google it you’ll love it…..I live in the hills as Joe is a farm boy ..but we are about an hour away from the sea…I have such a connection to water…it’s scary…lol…but I too enjoy the country living for I too was a farm girl…lol…….keep well…keep strong……no fear!….you know who hangs around when God is present!